Chapter 23, Section 3103 of the Pennsylvania Code indicates that your separation begins when you stop living together as husband and wife. This doesn’t necessarily mean that you have to take up residence in different households. It means that you’ve ceased to behave as spouses. You don’t sleep together, take your meals together or socialize together. You may reside in the same home, but you have no relationship; you just cross paths. When this has been the case for two years, it becomes a no-fault ground for divorce, even if one of you doesn’t want the divorce. If your spouse doesn’t want to part ways, he can contest your ground if he can prove that at some point during those two years, you behaved as though you still had a marital relationship. 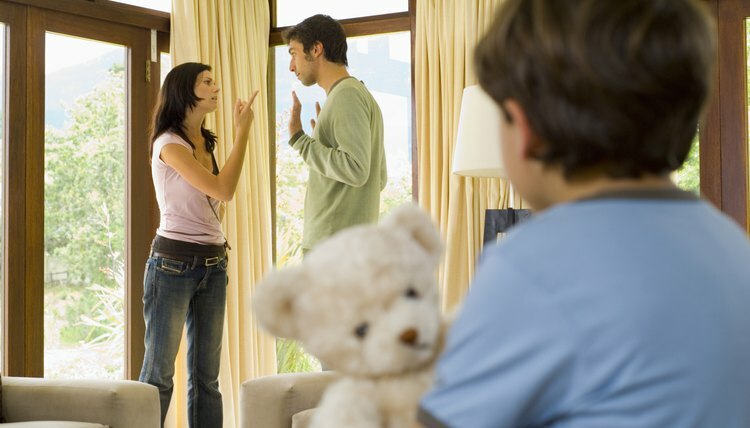 While you are separated, Pennsylvania law allows you to resolve all issues between you in a separation agreement. The scope of such an agreement is virtually the same as a divorce decree, but it is somewhat more flexible. For example, you can divide property for the time being and state in the agreement that the arrangement is only temporary until you divorce, or you can make it permanent. You can set terms for custody, visitation, child support and even alimony in the same way. You can designate that you’re going to renegotiate these issues when and if you divorce, or that they're permanent and will be incorporated into a divorce decree at some point. A separation agreement is a contract between you, so the court can enforce it if necessary. You don’t have to separate to file for divorce in Pennsylvania; the state also offers several fault grounds. These include cruelty, bigamy, adultery, imprisonment of your spouse or his institutionalization for mental incapacity. The state also offers a ground for “personal indignities.” If you choose imprisonment; your spouse must serve at least a two-year sentence, and if you choose mental incapacity, your spouse must be institutionalized for 18 months and not likely to recover in the 18 months after you file. You can file on one of the other grounds immediately, but if you do it in the heat of anger, and if the court suspects this, a judge can order a 90-day delay in the proceedings to allow you to time to think things through. If you decide to proceed on a fault ground, you must prove to the court that your spouse’s bad behavior caused your marriage to end and that you were injured by his actions, either physically or mentally. Pennsylvania offers one other no-fault option for divorce. If both you and your spouse don't want to wait out a two-year separation or use a fault ground, you can file on the ground that your marriage is “irretrievably broken.” If you both sign an affidavit of consent that you agree on this, you can usually be divorced within a few months if you have an agreement on all issues. North Carolina is somewhat unique among states in two respects: spouses can divorce without first resolving issues of custody, support and property, and the state has abolished fault-based divorce. Only two grounds exist for divorce: the incurable insanity of your spouse, or a one-year separation. Because most spouses are not incurably insane, this leaves many divorcing couples with only one option -- to separate a year before one of them files.